Sometimes, I have the urge to order multiple starters in a restaurant so I could taste more various food and flavours. 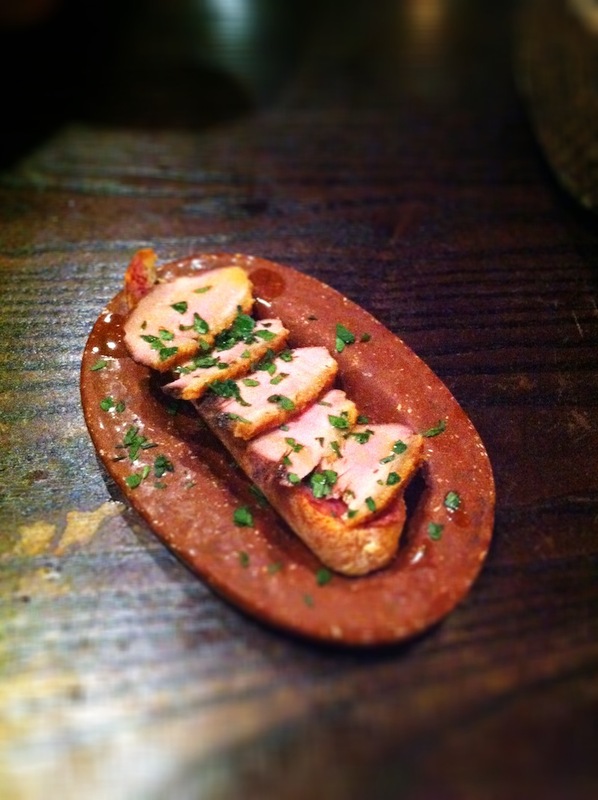 Tapas is a brilliant way to do that, without being the weird one who orders only starters and dessert, with no mains. Although I have not done that before, it has always been part of my thought process browsing through menus in restaurants. Who knows, I might do that sometime soon. We ordered only four plates of tapas plus a dessert to share between two and that was actually filling. I would say, it was just right. It is surprising because I am a big eater so it must have been the bread that filled me up. Otherwise, this will not happen in a million years, judging by the portion of the food, even for tapas standard. My theory is that the food came one by one at its own pace which we then have enough time to digest in between so we do not over eat. This is a good way to enjoy food with good company, especially when the small plates of food were very flavourful. 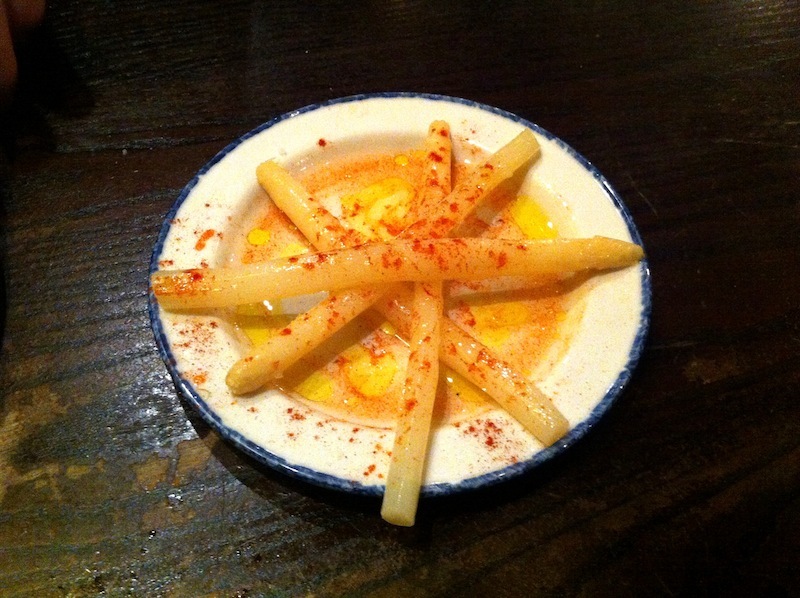 White asparagus - This was juicy sweet with its natural flavour and the sprinkle of sweet paprika was subtle and not over powering. I wonder where they got the white asparagus from. As far as I can remember, I am sure they are out of season. They are probably imported from Spain. Oak-smoked duck on toast with cherry butter - The first comment when the plate was placed on the table was, 'This must be the smallest toast I have seen.' Very cute indeed. Luckily it was well cooked and the cherry butter made a lot of difference. Clams - Well, I am not sure how this clams were cooked nor do we know what they taste like. It took me one photo to realise that was not what we ordered. 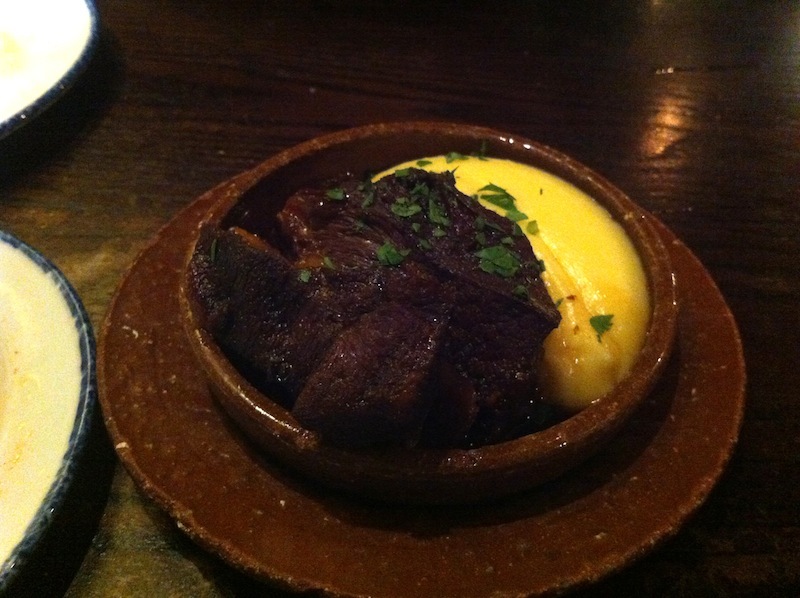 Braised veal with pedro ximinez - This is definitely a must have. That piece of meat has been carefully braised for hours in Pedro Ximinez, the dark and sweet sherry. The fatty part on the side tasted the best. 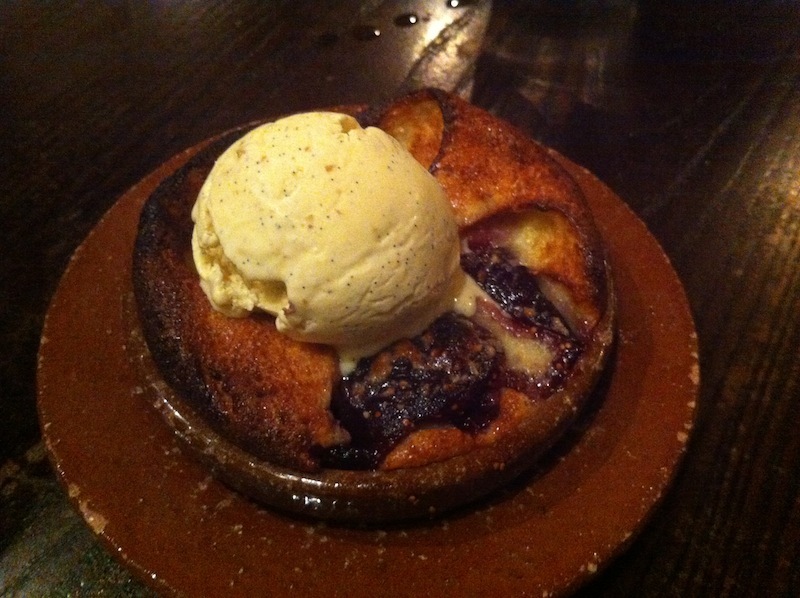 Freshly baked fig cake with pine nut ice cream - Last but not least, dessert! Fantastic! This is how a meal should end. 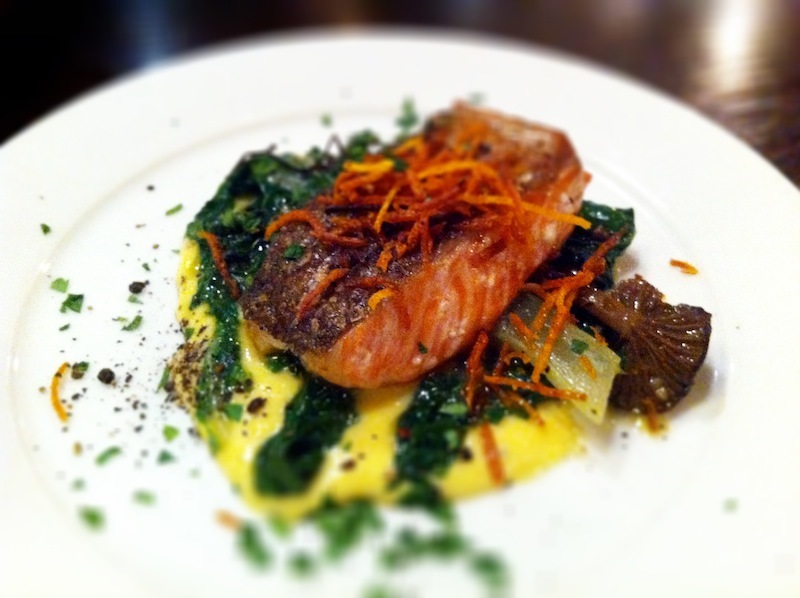 Barrica Restaurant clearly has very delicious food. 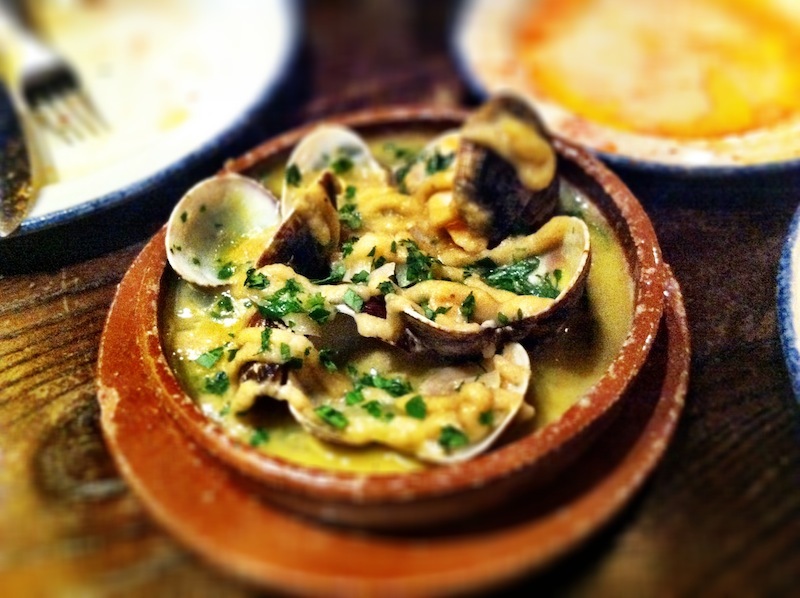 So far, it is one of the best Tapas I had in London. Perfect restaurant for a small group, also great for a date.